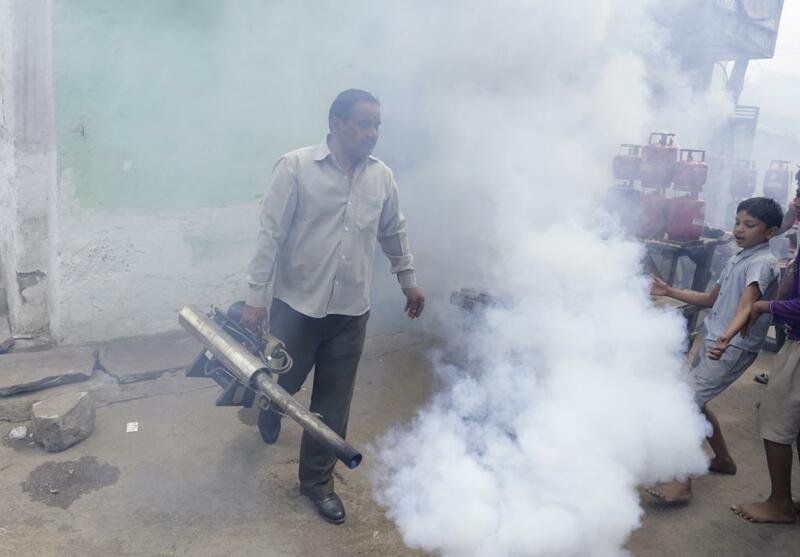 Chikungunya, a disease which is not considered deadly, has killed three people in Delhi in the last two days. Of these, two deaths took place on Tuesday, September 13. The National Capital Region (NCR) is facing one of the worst outbreaks of the mosquito-borne viral disease with more than 1,000 cases of chikungunya already recorded. The deceased include Delhi resident Uday Shankar Prasad (61), Ashok Chauhan (62) who was from Aligarh and Ramendra Pandey (65) from Ghaziabad. Although, Ashok and Ramendra have died in Delhi hospitals, their names will be part of respective state records. The cause of death in all the three cases was multiple organ failure that happened within 24 hours of being hospitalised with severe complications in Delhi’s Sir Ganga Ram Hospital. Dengue, which created havoc in Delhi last year, has spread widely. As per reports, at least nine deaths have been taken place due to the vector-borne disease. However, the South Delhi Municipal Corporation (SDMC) which compiles the report on vector-borne diseases in Delhi, has stated the death toll to be four. While residents of Delhi continue to suffer, authorities indulge in blame games. Arvind Kejriwal, chief minister of Delhi wrote on his twitter account that his government does not have power to even purchase a pen. He added that the lieutenant governor of Delhi should be questioned. National Vector Borne Disease Control Programme, an arm of Ministry of Health and Family Welfare, has not updated the latest figure of people affected from Chikungunya and Dengue since August 31.